We didn’t realize it until this morning, but we were in a smoking room at the Horseshoe Casino. When we complained at the front desk, they just blew us off. Jennifer said that she’s going to write them an angry letter. We visited the floor below us and couldn’t believe the difference. When we first went to our floor, we figured the whole hotel smelled like cigarette smoke since people are allowed to smoke in the casino. Today we took everyone out to buy Isabelle’s birthday gifts. We found the Toys R’ Us and allowed Abby and Emily to pick out a toy for Isabelle. We also gathered the ingredients for the bear cake which each girl has had for their first birthday. 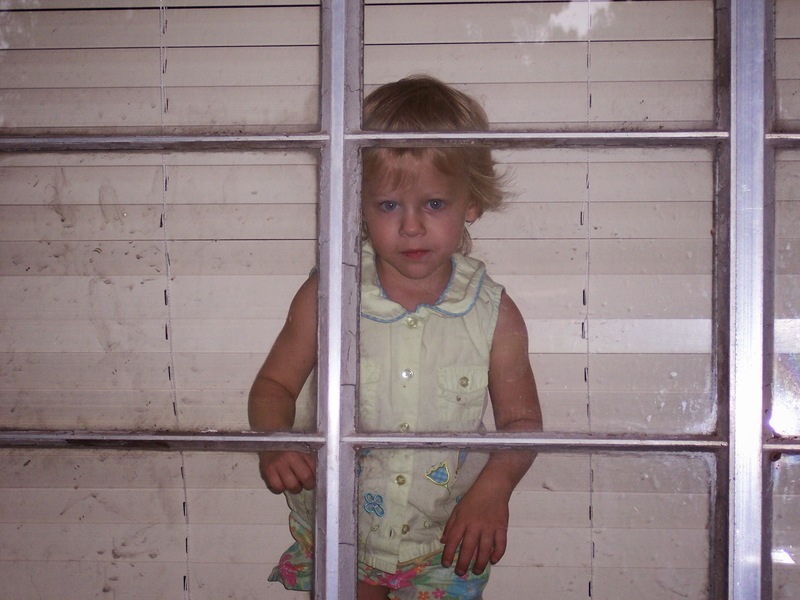 Today’s picture is from a few days ago, Emily looking sadly outside the window at Nana and Poppy’s house. This entry was posted in Emily, Family, Isabelle, Jason, Jennifer by Jason. Bookmark the permalink.